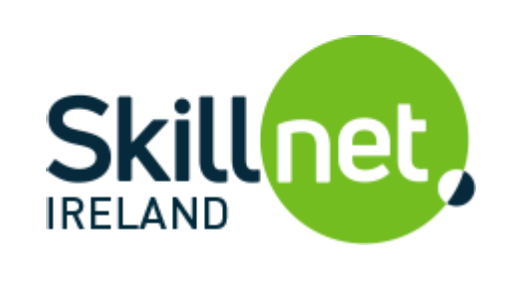 Gréasán na Meán Skillnet is a Media training network which provides subsidised high end training to employers, employees, freelancers and jobseekers. We run regular courses, in both practical and business skills. We also support networking events and conferences for the media sector. Our courses are designed and delivered by industry professionals. The definition of training we support is broad & can include on-the- job training, placements, networking etc. We provide a comprehensive range of courses for industry professionals. We can provide bespoke in-house training for companies. We have a number of courses specifically for Jobseekers subject to eligibility criteria. Our primary aim is to offer high end training in creative and practical skills for the Media Industry. To aid in the competitiveness of companies as well as greater access to industry-specific training, skills and development for individuals. – To ensure a cost effective high quality training. – To support in the growth & development of the Media industry in Ireland. – To respond to industry needs and future skills requirements for the Industry. – To support companies, individuals and jobseekers in growing their skills. Greasán na Meán Skillnet is a valuable asset to Telegael, as well as the Irish Language Media industry as a whole. Greasan na Mean organised a ‘Creative Thinking’ workshop it was a wonderful course and very well run. 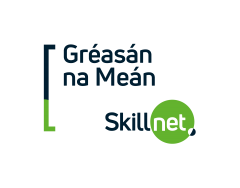 “We have had a great experience with Gréasán na Meán Skillnet. The process is very straight forward & tailored to our individual needs.